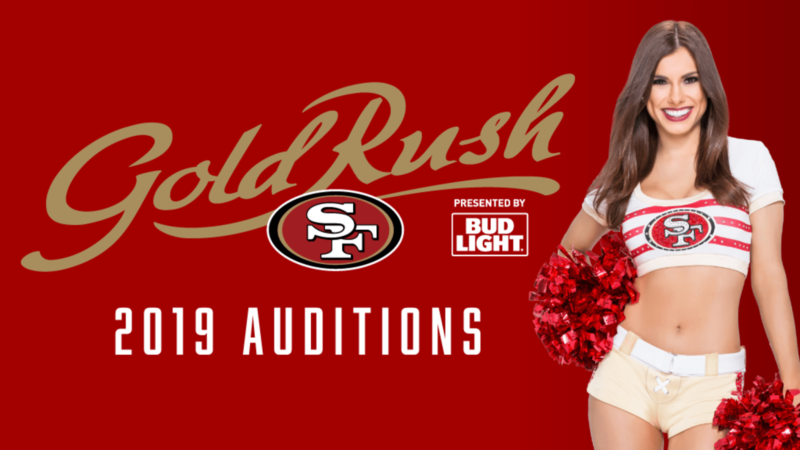 Join the world famous San Francisco 49ers Cheerleaders and experience the opportunity of a lifetime. 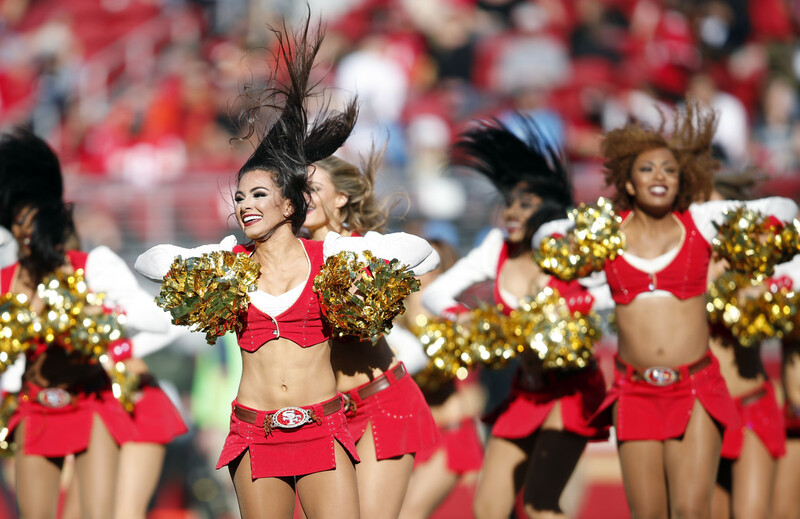 Over the past thirty-six years, the 49ers Cheerleaders, known as the “Gold Rush,” have established a reputation as one of the NFL’s premier performance groups. The team has been featured on many national television shows, appeared in NFL games and special events throughout Europe, Latin America, and Asia and performed in five Super Bowls. 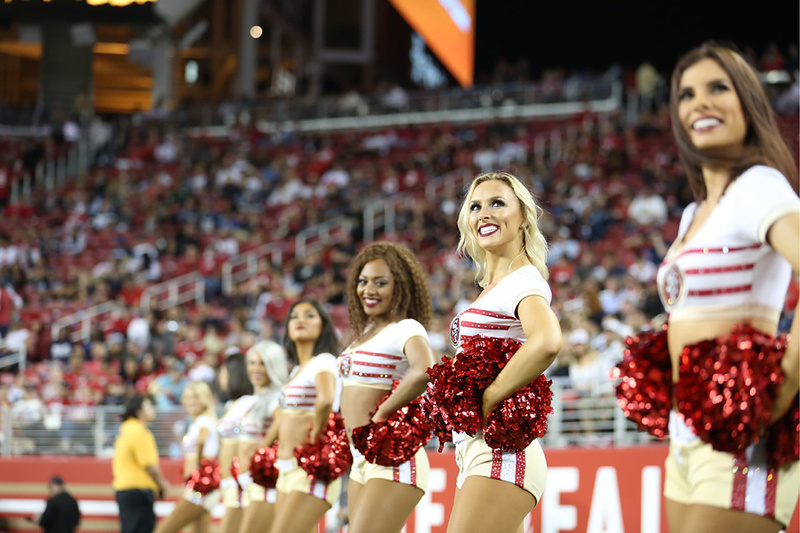 As a team member, you can participate in these types of special events, plus cheer at all 49ers home games, work with the Junior Cheerleader program, participate in the annual photo shoot and much more. You must be at least 18 years of age by May 1, 2019 (there is no maximum age limit). 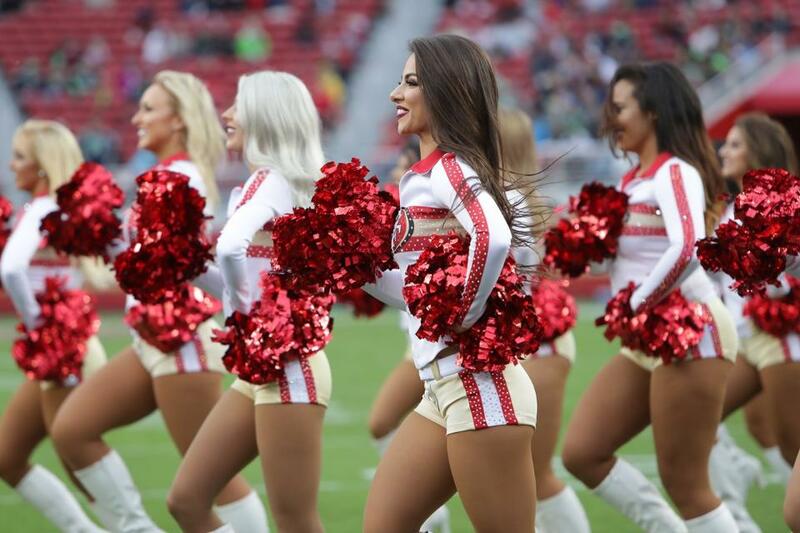 Team members must have flexible schedules for Saturday rehearsals starting in April, all 49ers home games, a uniform photo shoot, and appearances during and prior to the season. Team members must also attend a 3-day mini camp during a weekend in May. Team members must have a reliable means of transportation. 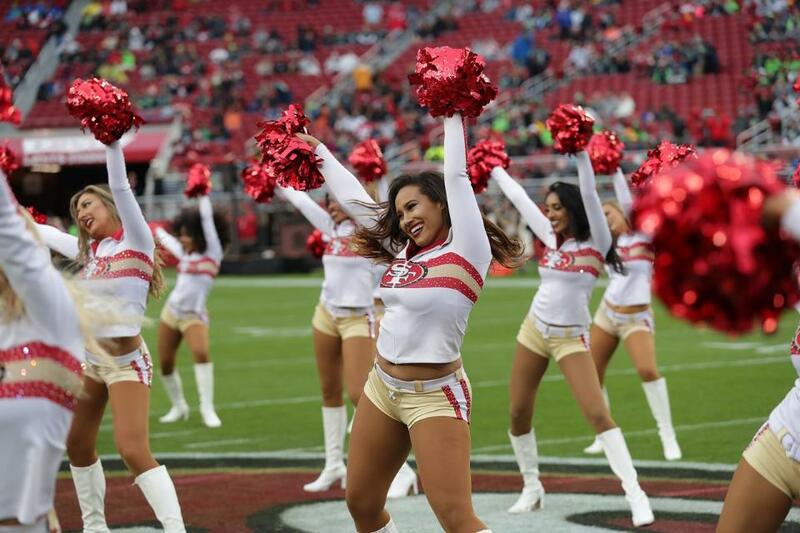 A cheerleader for the San Francisco 49ers appeared to kneel during the US national anthem at an NFL game on Thursday, echoing recent player protests. 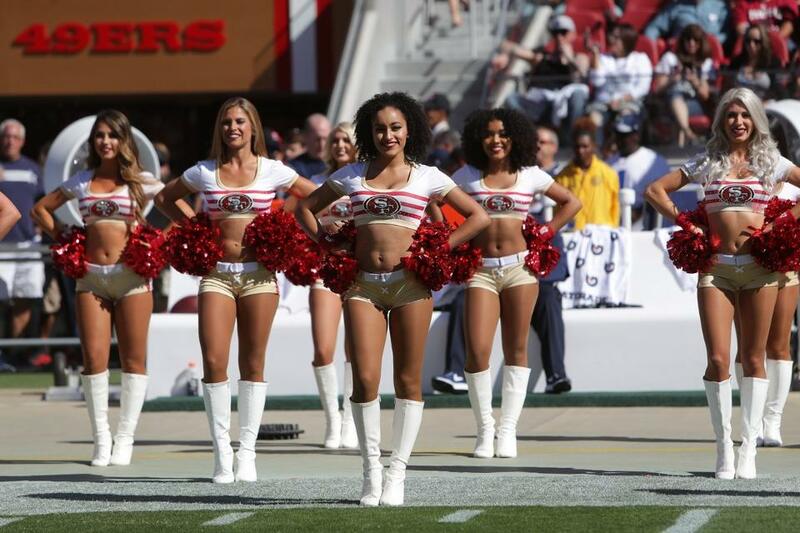 The woman, who has not been identified, was pictured kneeling before the team’s game against the Oakland Raiders. 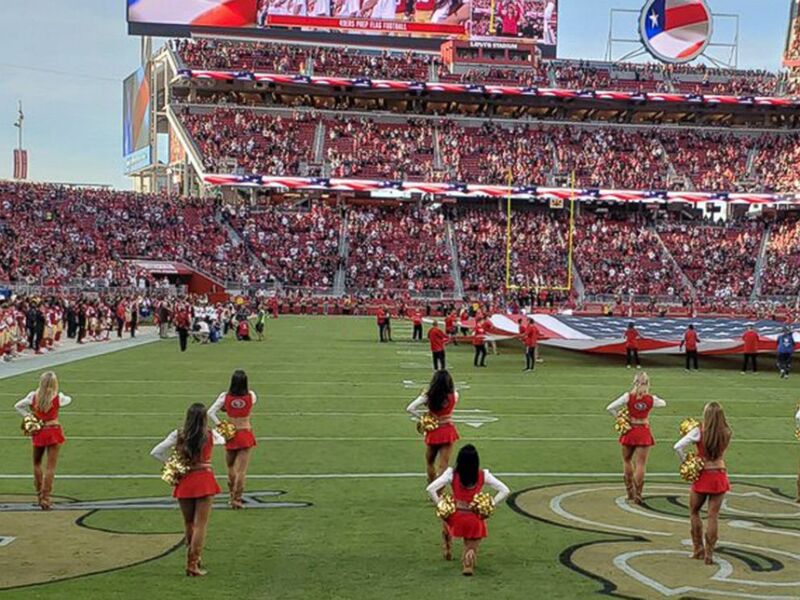 The 49ers are the former team of Colin Kaepernick, who knelt during the anthem as a protest back in 2016. His aim was to highlight police brutality against African-Americans. 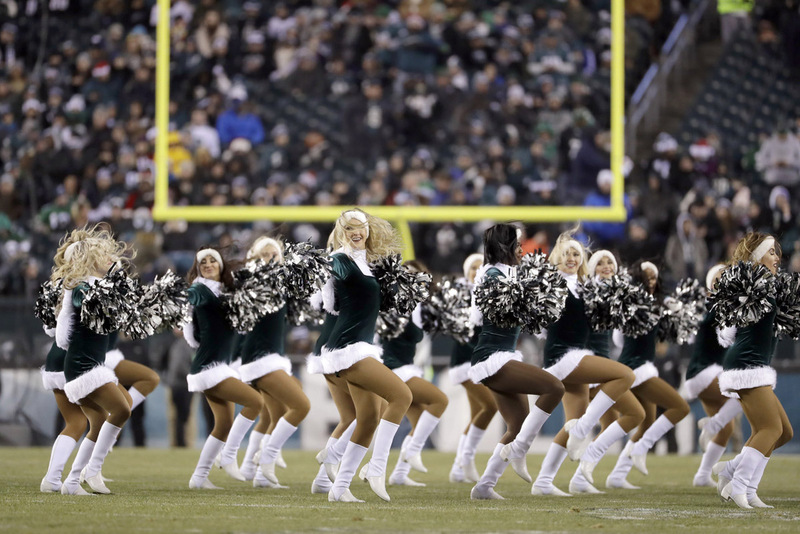 While the rest of the cheerleading squad held pom-poms aloft in unison during the Star-Spangled Banner, one woman knelt down and put her hands on her hips. 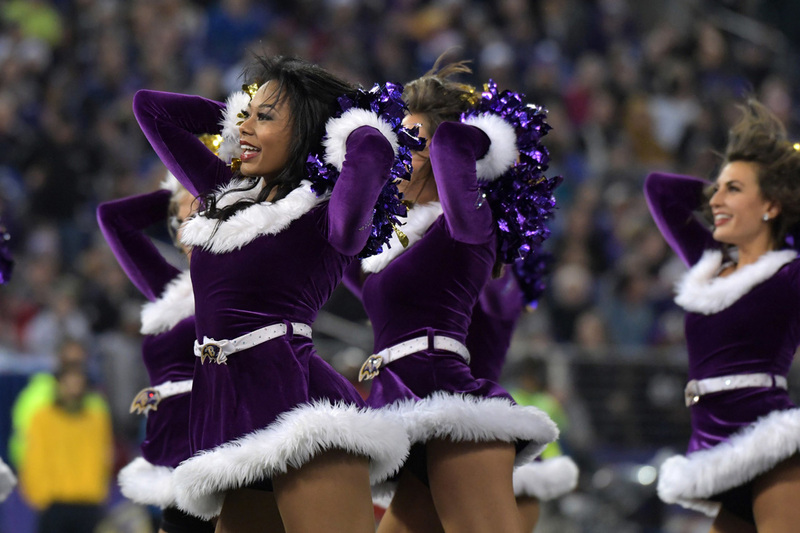 If confirmed, it would be the first time an NFL cheerleader has protested in this way, although five members of a college team in Georgia did so last year. For context, there is a precedent for conduct with respect to the flag and this may help explain why kneeling for the national anthem in front of the national flag is considered controversial, even while trying to bring attention an important social cause. Controversial? Appropriate or inappropriate? You decide. 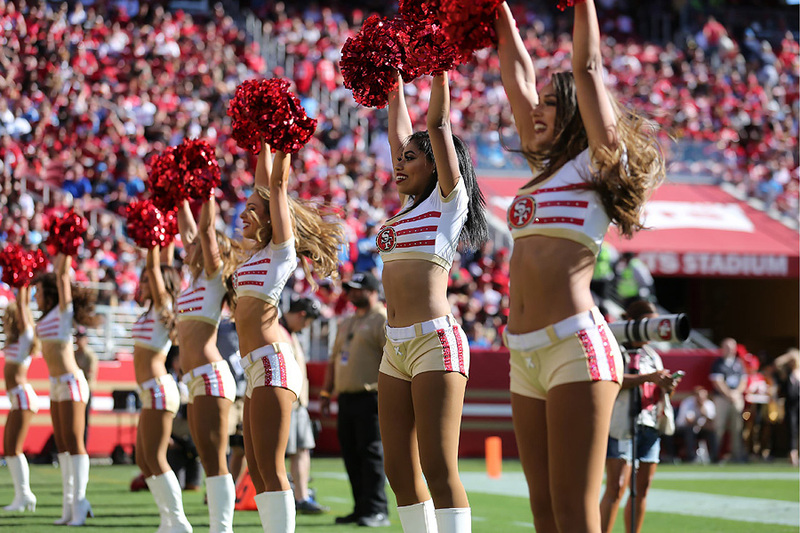 NFL.com has posted a gallery of photos of the 2018 Pro Bowl Cheerleaders with some biographical information. 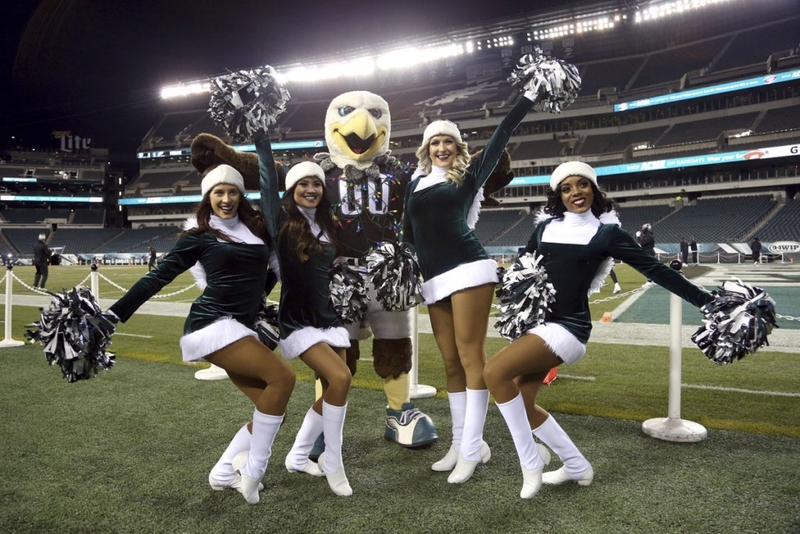 Let’s take a look at the NFC Pro Bowl Cheerleaders. 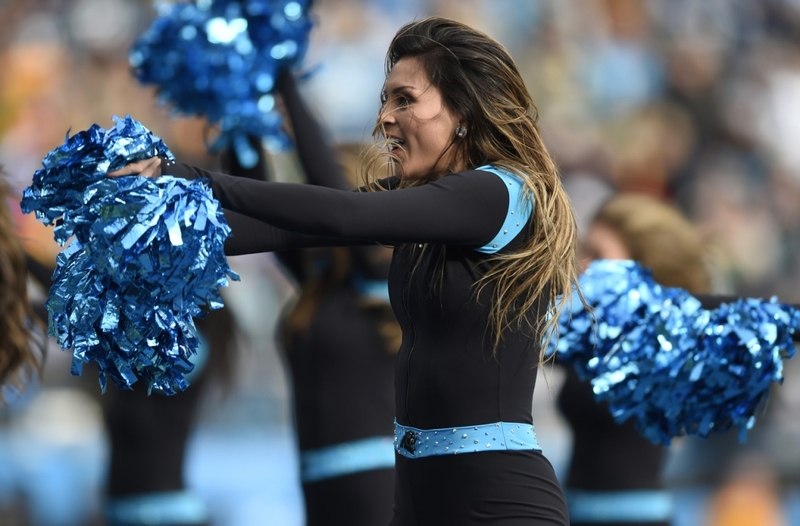 Chandalae is excited to be in her fourth season as a TopCat while finishing up her degree in English with a concentration in creative writing and fiction at North Carolina State University. She’s the assistant director at a dance studio in Winston-Salem with her mother. She enjoys reading, writing, thunderstorms, her puppies, arcade games, and special effects makeup. She’s excited to graduate from NSCU and find a place for herself in the professional sphere. Fun fact: Chandalae has dual Canadian citizenship! Chandalae’s favorite charity is WindDancer Foal Rescue, dedicated to adopting and rehabilitating foals to place them in good homes. Chloe is a fifth-generation Floridian who always dreamed of being able to mix her passion for performance and football. 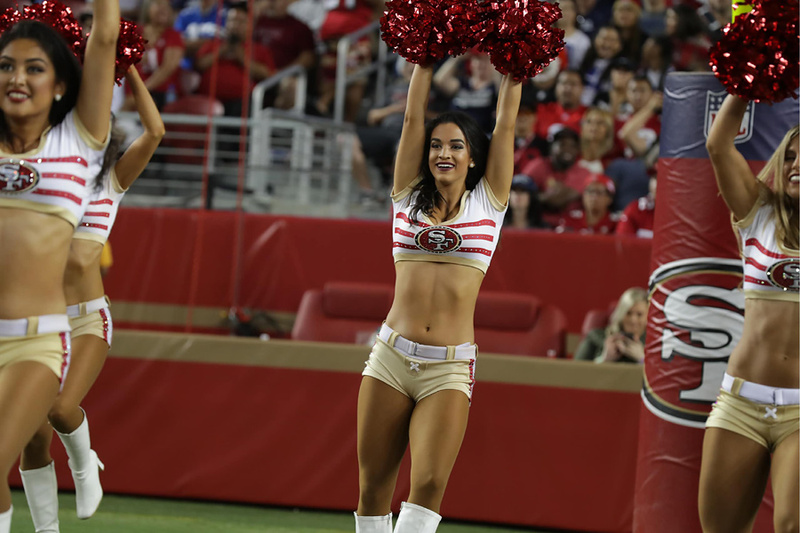 After cheering from the stands since the age of six, she has had the honor of cheering on the sidelines as a Tampa Bay Buccaneers cheerleader for the past four seasons. She obtained her B.S. in Information Technology from Florida State University and is currently employed at i9 Sports as a Marketing Manager. She is grateful for her teammates, coach, fans, the Tampa Bay Buccaneers organization and God for the opportunities, support and lessons they have taught her. 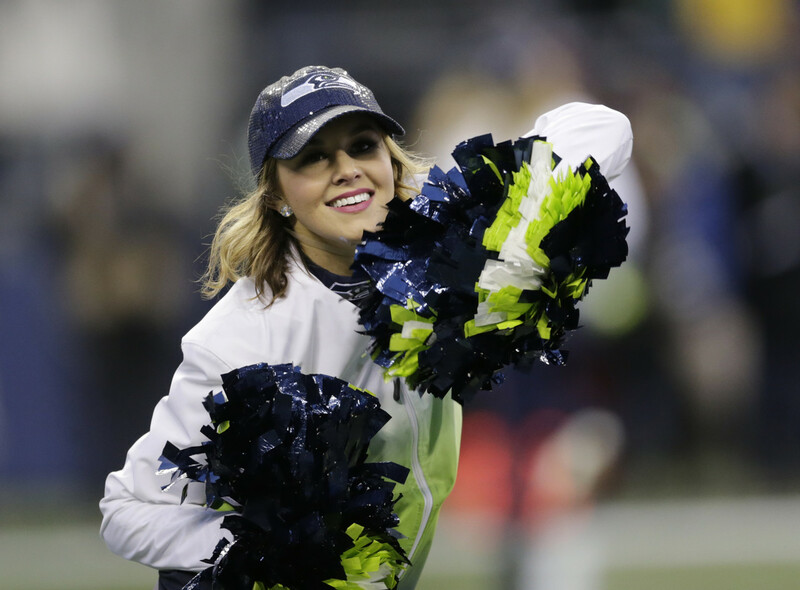 This is Hailey’s second year with the Sea Gals, and outside of cheering for the Seahawks, she is a Business Development Associate at a private market data company in downtown Seattle. 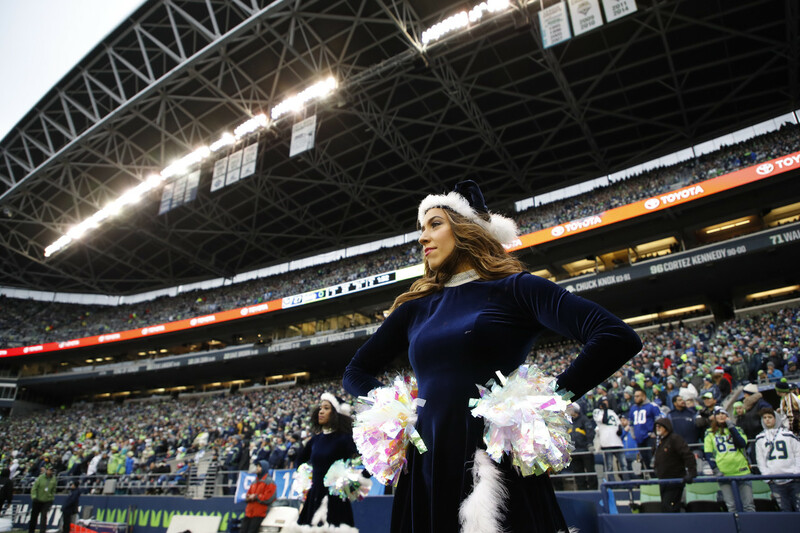 In 2016, she graduated with a Bachelor’s Degree in Communication from the University of Washington, where she spent her junior and senior years on the Cheer and Dance Team. 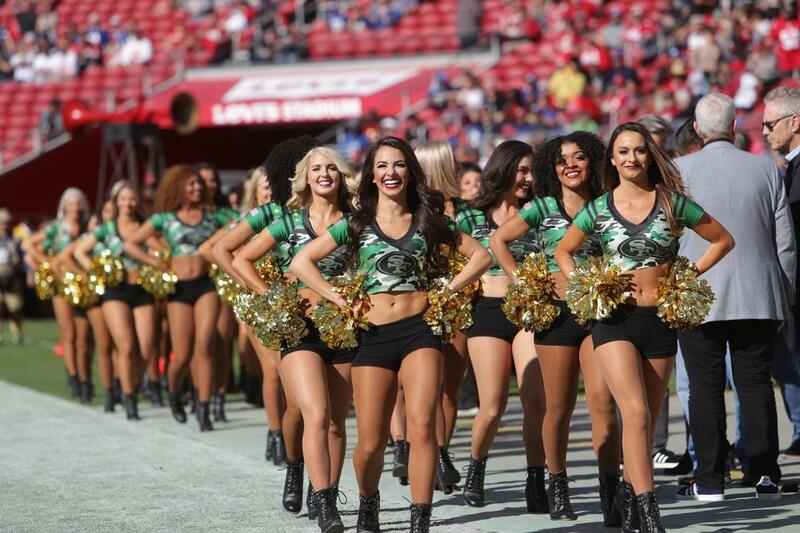 Hailey is also part of the Sea Gals Show Group, which toured with Armed Forces Entertainment in March, performing for troops in Kosovo, the Netherlands, and Germany. KaShara is 26 years old and from Irvine, Kentucky. 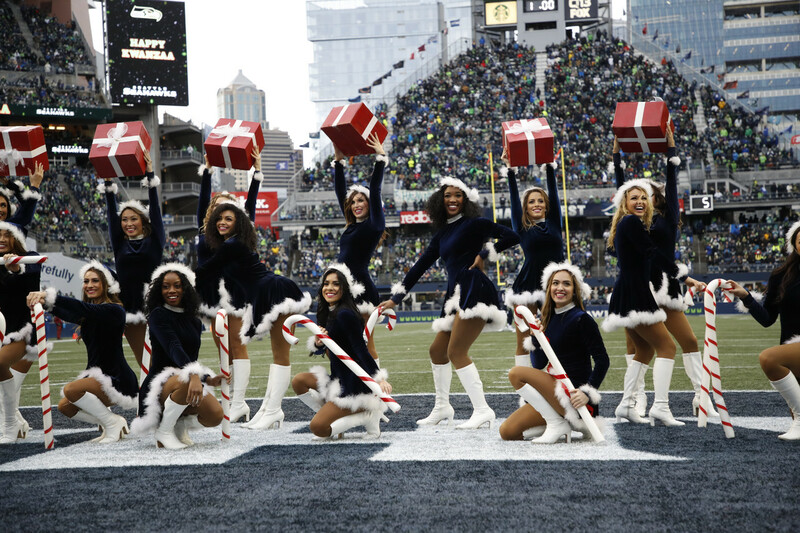 She has been with the Dallas Cowboys for three seasons and is currently a group leader on the team. She also works as a barre fitness instructor in Southlake, TX. KaShara received her Bachelor’s degree in Physical Education at Eastern Kentucky University in 2013 and plans on furthering a career in Physical Therapy. 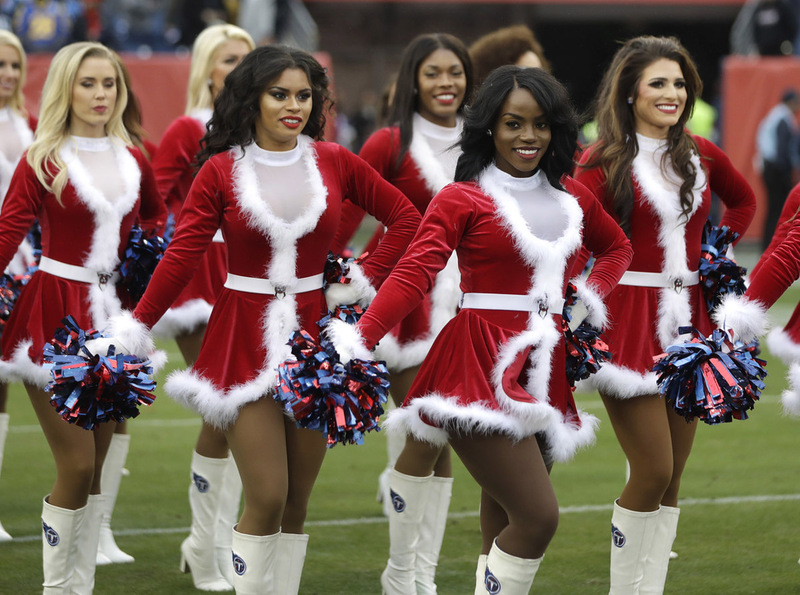 Leslie is a fifth-year member of the Atlanta Falcons Cheerleaders and a second-year captain. She graduated with highest honors from Georgia Tech and works as a senior supply chain analyst. 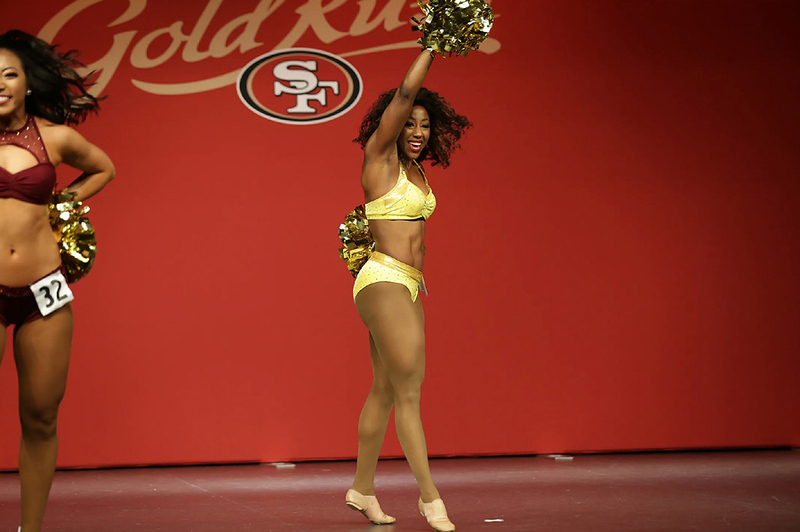 It was in college that she was inspired to become an NFL cheerleader by her dance team coach, Brandy, the Falcons’ 2012 Pro Bowl Cheerleader. 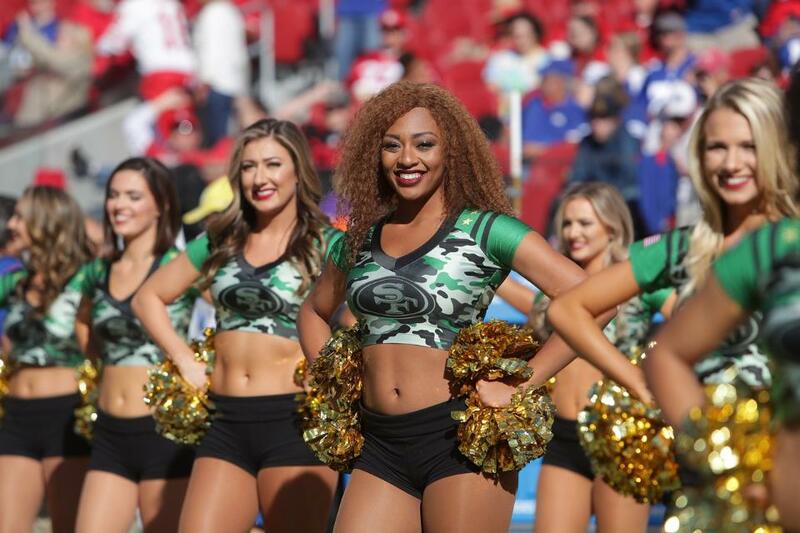 Her time with the Falcons has taken her from London to the Super Bowl and now to the Pro Bowl, and she greatly enjoys the opportunity to give back, particularly through the NFL’s Salute to Service initiative to honor veterans and active military. Marshe’ was born in the New Orleans area.  She’s a graduate of the University of New Orleans with a Bachelor of Science in Marketing. Marshe’ currently works at iHeartmedia as an Account Executive. She is also a mentor and instrumental in raising money for back to school programs. Marshe’ enjoys traveling with her husband. 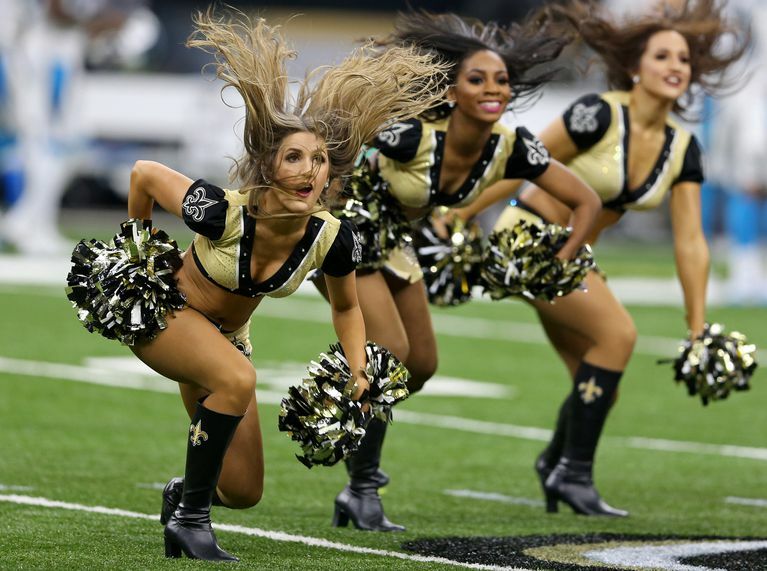 She represented the New Orleans Saints in Canada for NFL PLAY 60 and was featured as Cheerleader of the Week for Sports Illustrated. 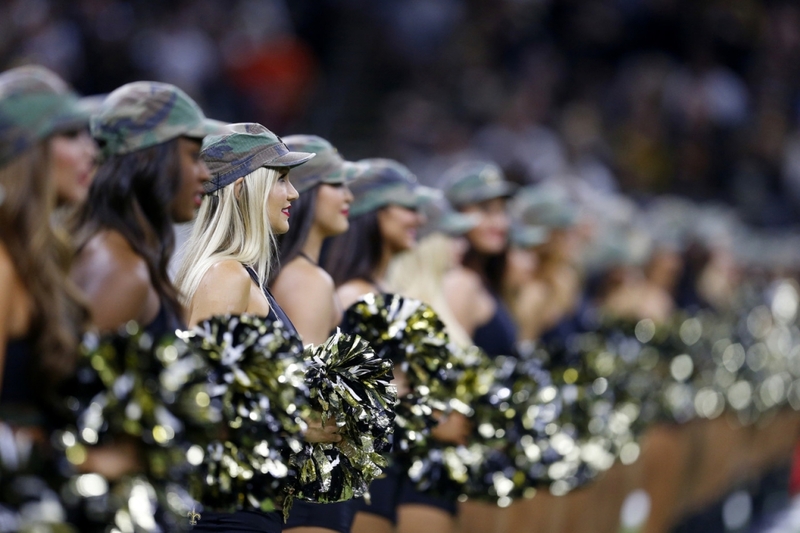 This is her fourth season as a Saintsation and she is honored to represent the New Orleans Saints at Pro Bowl. 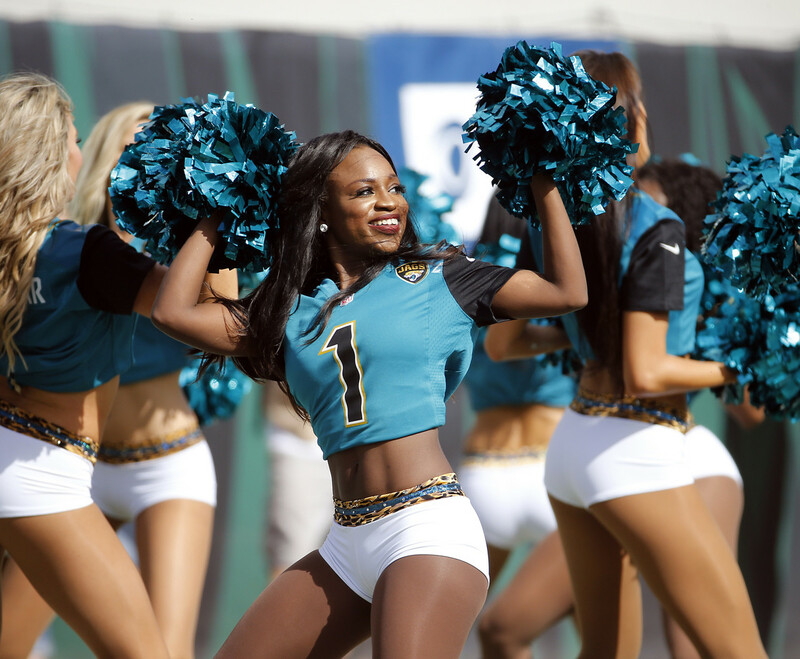 Nikki is a fourth-year veteran and a second-year team captain and was a member of our former Show Team. She has traveled internationally with the team to Mexico and the UK. 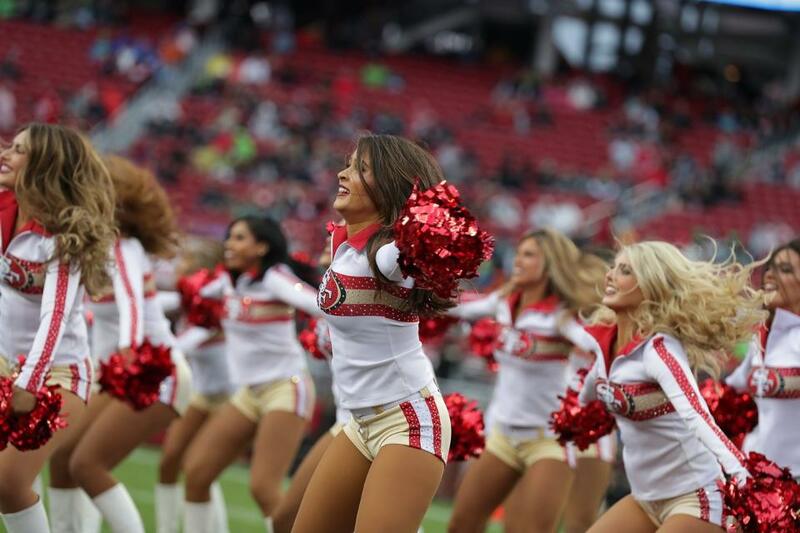 Nikki is a talented choreographer whose routines are often showcased on game day. 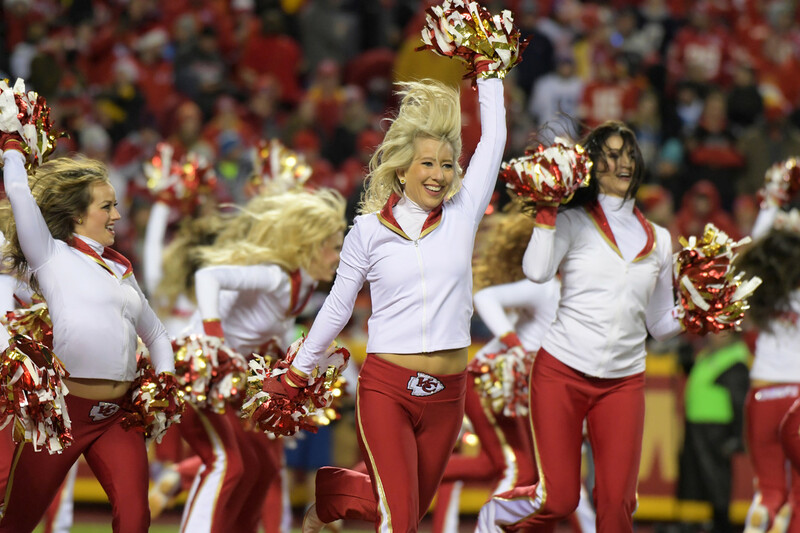 One of her favorite parts of being an NFL Cheerleader is giving back to the community. 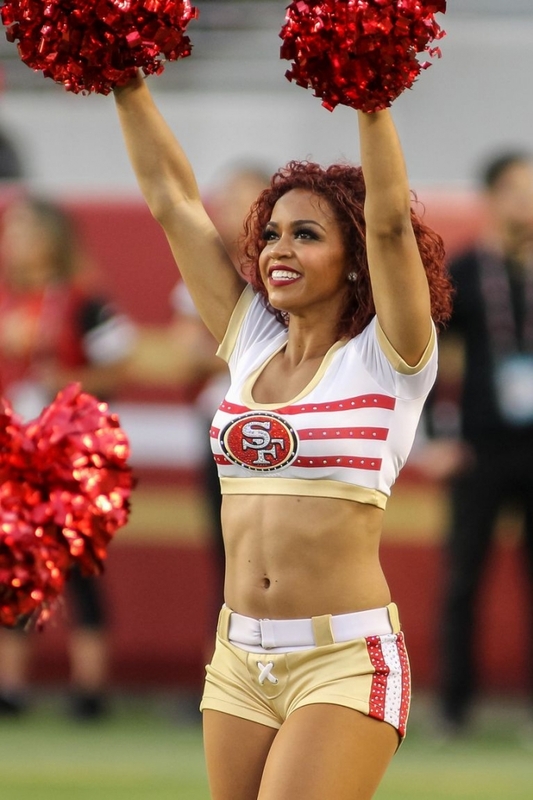 Nina is in her fifth season as a 49ers Gold Rush cheerleader and in her third year as a captain. She owns her own dance company, is a traveling choreographer, and is graduating in the spring from San Jose State with her degree in communications. When she isn’t performing on the sidelines, she enjoys spending time with her family and friends, cooking, and being a Disneyland fanatic. 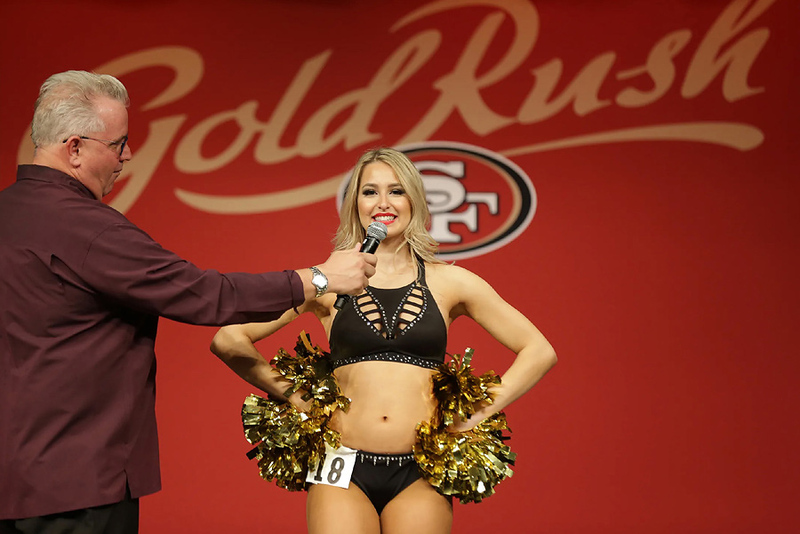 Her favorite part about being a member of the Gold Rush is creating memories and performing with her Gold Rush sisters. She can’t wait to represent her team at the 2018 Pro Bowl! 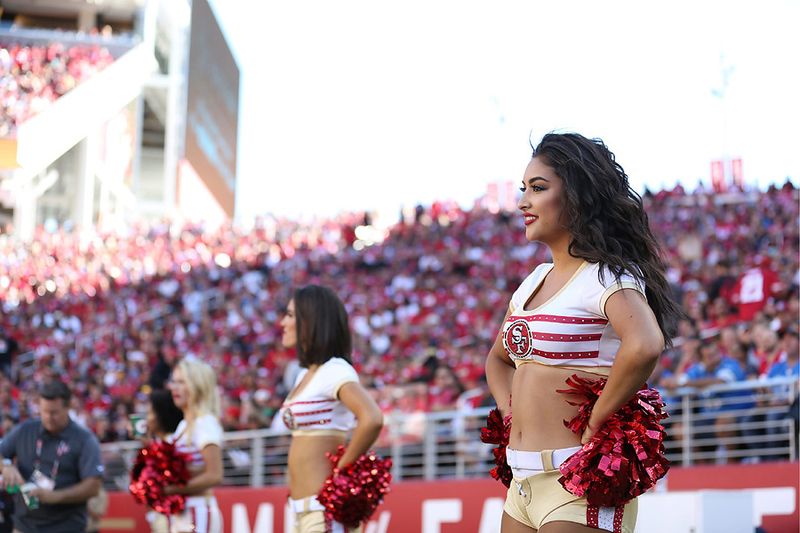 Saral is a seven-year team veteran and four-year team captain. She has represented the Vikings cheerleaders abroad for several military tours and international appearances, such as Japan, Guam, Kwaj, Hawaii, London, and Canada. Saral has been voted and awarded Team Pride, Glamor, Perfect Attendance, Fight Row Charge, and Rookie of the Year throughout her career with the team. This is Sativa-Skye’s second year as a Los Angeles Rams Cheerleader. She is currently in her final year of college at Cal Poly Pomona pursuing a Bachelors degree in Communication with an emphasis in Public Relations. 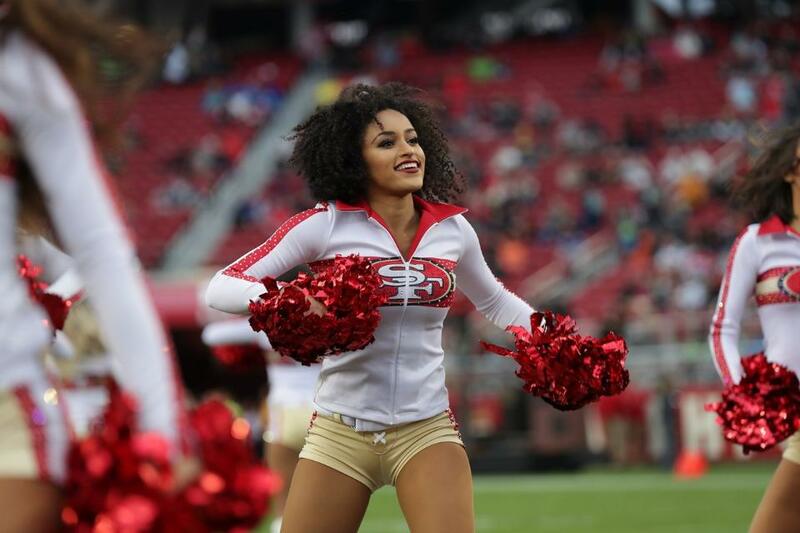 Sativa-Skye has had the opportunity to represent the Rams in London, Hong Kong, and Mexico as well as on NBC’s 2016 Sunday Night Football commercial. She is incredibly honored to serve as an ambassador for her team at the 2018 Pro Bowl. 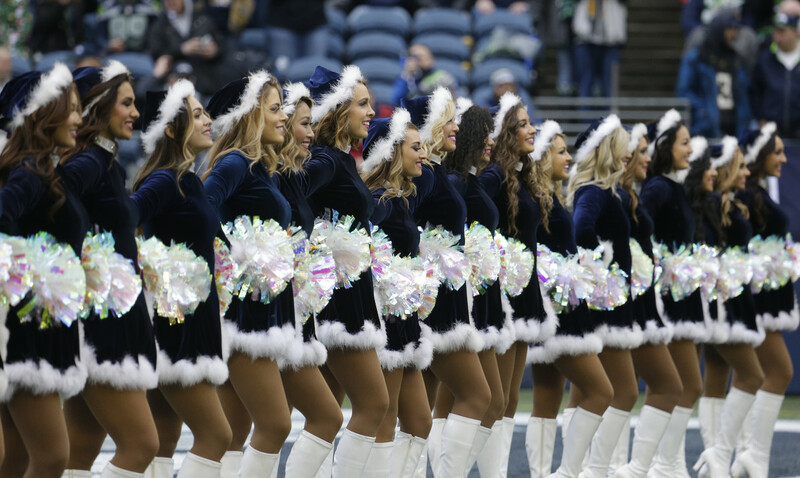 Stacey is a second-year captain for the Detroit Lions cheerleaders. She was selected as a captain during the team’s inaugural season, and has enjoyed contributing to the program’s development. With a passion for performing arts, she received her BFA in dance with a business double major from Marygrove College in 2017, and aspires to open her own dance studio. Stacey enjoys instructing dance to children of all ages and was excited to assist with the first ever Junior DLC Program. She is honored to be a Detroit Lions cheerleader representing the Lions organization at the Pro Bowl! An accomplished performer, Symone plans to pursue a professional dance career after graduating from the University of the Arts in May 2018. Symone was honored to participate in the onstage televised announcement of an Eagles draft pick during the 2017 NFL Draft. She is involved in humanitarian outreach within the U.S. and internationally. Recently, she spent time helping orphaned children in Higuey, Dominican Republic. Born in Japan at Yokota Air Force Base, Symone is very proud of her African-American and Asian heritage and her family’s service in the United States military. 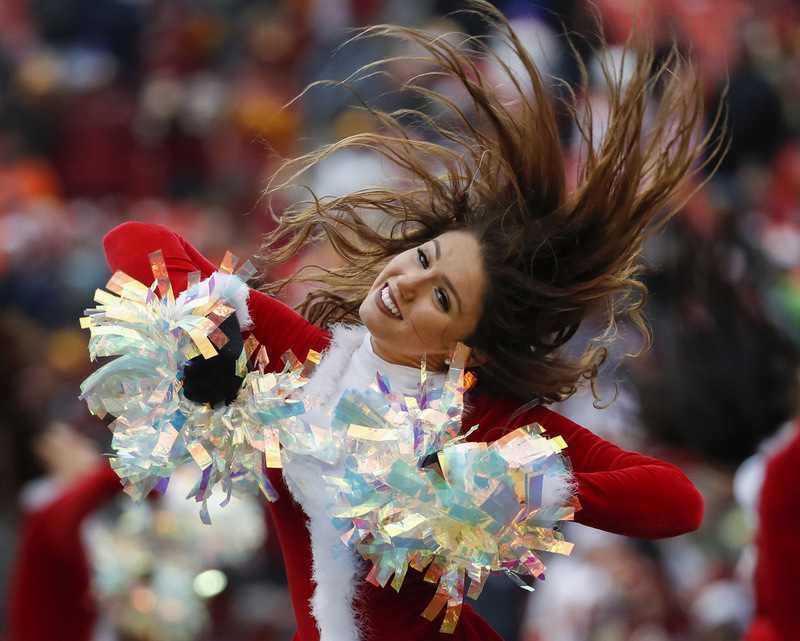 As of 01/15/18, there was no listing/bio for a Washington Redskins Cheerleader Pro Bowl Kellie in NFL.com’s article. Tomorrow we will publish the AFC Pro Bowl representatives.